Polar Science Center » Narwhals, Tusked Whales of the Arctic, See With Sound. Really Well. 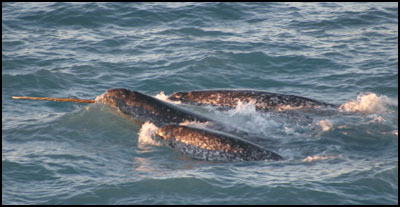 The New York Times reports on a study of narwhals led by Kristin Laidre. She and her team conducted field work collecting recordings to uncover how adept the species navigate their Arctic water habitat with sound.